There’s no getting away from the fact that, at this time of year, a goat is a bottomless pit. There’s also no avoiding the truth that given the choice of the last centimetre of breakfast lurking in the bottom of the feed bowl and a camellia flower dancing enticingly, just out of reach, in the briny breeze, our girls will elect to pursue most difficult option every time. They’ll stretch, contort or balance like a circus dog to attain the tiniest tendril of ivy peeping through a join in the fencing iron while shunning the hay-feeder packed to the top with luscious, fragrant, once-upon-a-time-grass. However, the hallowed site of their goatee culinary dreams, their foodie mecca if you will, is Dave’s Place. Dave, who unfortunately shares his name with one of the Homestead felines (something that has been the cause of a few awkward moments in the past), lives on the front half of the goat paddock. He required very little persuading to shun the lawnmower in favour of a bit of alternative pasture for Geraldine, Leia and Ruby as, like the rest of our wonderful neighbours, he’s a bit of a soft touch when it comes to these three goat-girls. The Goat Herd and Milk Maid currently spend a happy half hour daily, having unlocked the sacrosanct gate, playing leash macrame under Dave’s washing line in the interests of a varied goat diet. By the time this lot’s been manicured, Jude Nextdoor’s ivy will be simply begging for three goat pruners and, while we’re not sure this is exactly what Joel Salatin had in mind when he outlined his practice of grass farming, we reckon he’d be pretty impressed at our use of our available resources. 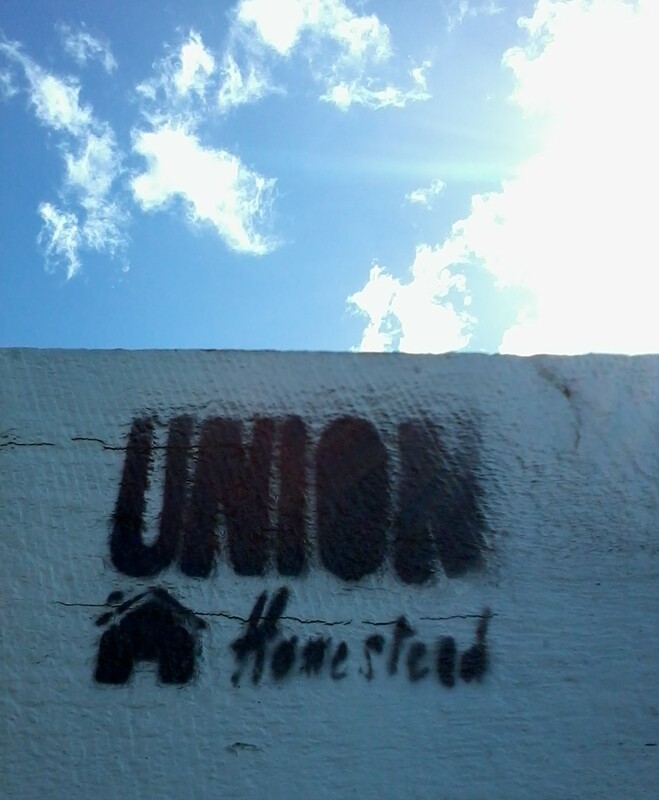 This entry was posted in community, Family, Goats, Union Homestead and tagged Aotearoa, Christchurch, farm, farmlet, Goat, goating, goats, grass farming, grazing, Homestead, Homesteader, homesteading, Joel Salatin, micro farm, NaBloPoMo, New Brighton, New Zealand, Otautahi, paddocks, Permaculture, resource management, resources, rotational cropping, Salatin, small holding, smallholding, urban farm. Bookmark the permalink. 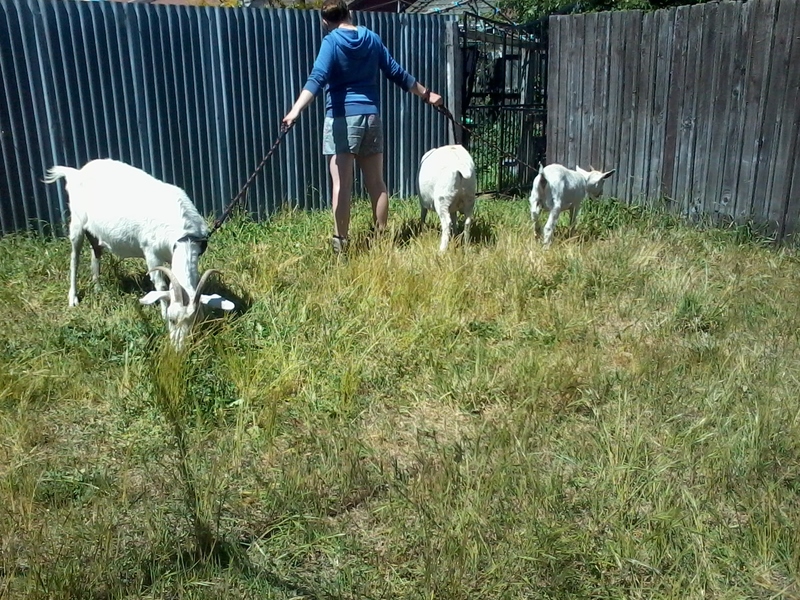 Very neighbourly, I’d have goats rather than a lawnmower any day if I had a lawn. I prefer the goats as well! I am a lawn mower man myself because the goats don’t leave stripes.